Reason Roaille, main scenario quest, a clearly agitated Alphinaud informs you that Eline Roaille has somehow managed to slip her confines and escape. He believes that the disgraced flame marshal means to flee to her imperial masters at Castrum Meridianum. As players are struggling with this quest, so this page will bring you tips as Paladin for the Reason Roaille quest. 1. Remember in these solo player instances, you are not a tank; you are a glorified DPS. Stay in Sword Oath, and don't pull aggro on mutiple enemies (other than what the AI script automatically does to you during some waves). Remember to use fight or flight and bloodbath to your advantage. 2. Keep your allies alive. Kill healers first and take out claws asap. Yugiri can handle herself so don't worry about her. Focus on whatever enemy has the lowest health and leave the mechs for last. Once the npcs have dealt with the soldiers they will burn the mechs quick. 3. Don't bother attacking Roaille herself until everything else is 100% cleaned out; Illberd can take care of her on his own (the instance does not end on her defeat; she must be 1% and all the other enemies are dead. It's possible for Illberd to completely solo her before you've taken care of the rest). Take out any healers first and foremost, and then move to ranged dps, melee dps, and then the vanguards. Always prioritize the healers, even if you still have enemies left over from a previous wave. 4. If you have the poetics, invest in an augmented ironworks weapon if you haven't already. That will also help a fair bit with damage output. 5. If you're still having issues after all that, you need to get better. While it is a rough instance if you don't correctly proritize, once you do, it's fairly straightforward and simple. Read these tips and find the useful information. See if the tips are worth try. Hope you can pass the quest. 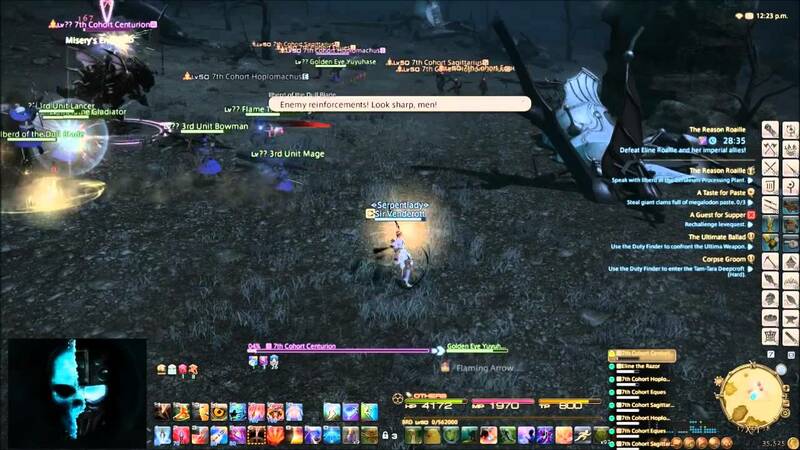 When you enjoy the game, don't forget to get FFXIV gil for your game!